I am sure more than a few of you have thrown your controller in frustration. Spelunky is one of those games that might cause you to do so, but that doesn't stop it from being an excellent rougelike/platformer. Many of us had always hoped that the game would reach other platforms, particularly the handheld ones. Well, it seems that our hopes are coming true, as Spelunky HD will be coming to PC, PS3, and Vita. It is an upgraded version of the game, and will feature extra music, visuals, and multiplayer options. Spelunky originally came out on the PC as a free indie game. About a year after it's release on XBLA, PC gamers will be able to play the game with upgraded graphics and music. It will not be free, but the exact price is not known at this time. The new PC version will release on Steam, Good Old Games, and the Humble Store. 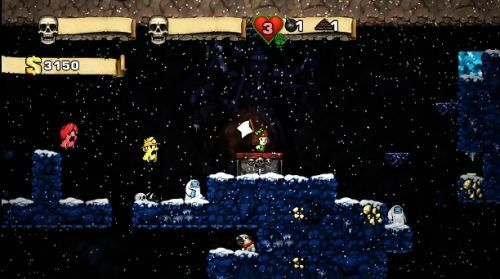 The original Spelunky supports cooperative play with up to four players. It is unknown how the HD version will handle cooperative play as of now. Page created in 0.6966 seconds.